Freya is available in Apricot and Aqua, Beige and Pink, Black and Silver, Blue and Emerald, Red and Black, Silver and Gold, and Fuchsia and Purple (see above!). Want to sizzle in Fringe? 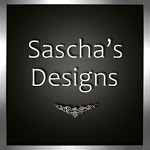 Click here for your lift to Sascha’s! There’s a certain freedom in disregarding the usual game of making resolutions. On another note, Designer Showcase’s January round starts tomorrow (1/5/18). I.M. Collection’s London Fog will be my eternal coffee run ensemble. London Fog is available in other shades, so perhaps it will be yours too? Click here to find out. When it comes to new challenges or adventures, sometimes you have to go for it all alone. Here’s my journey in a nutshell. FOXCITY gave me the narrative and I’m just running with it! FOXCITY is one of my new go to pose makers for Bento poses. At this year’s Pose Fair, Satomi Masukami didn’t disappoint. I’m a sucker for emotional poses along with props and appropriate backdrops. After all, I’m telling a story. What inspires you? If you haven’t thought of anything, think about it. My inspiration in RL and SL comes from what grabs my interest and many times it comes from the web. If you are inspired, are you alone in your quest? That’s okay. You’re not really alone. Other like minded people are right there with you. I’m right there with you. We just have distance in the way. Close your eyes and prepare for your trip down the rabbit hole. Liquid courage is acceptable, but don’t depend on it. The buzz wears off ya know? Pinch me. I dare you.